Happy first day of spring! The days are getting longer and hopefully warmer. The day we’ve been waiting for, has finally arrived. Once the weather turns warm, I don’t want to be stuck inside putting a lot of complicated dishes together, I rather spend less time in the kitchen and more time in my garden. Herb’s, fresh and sweet flavor make any dish feel lighter. 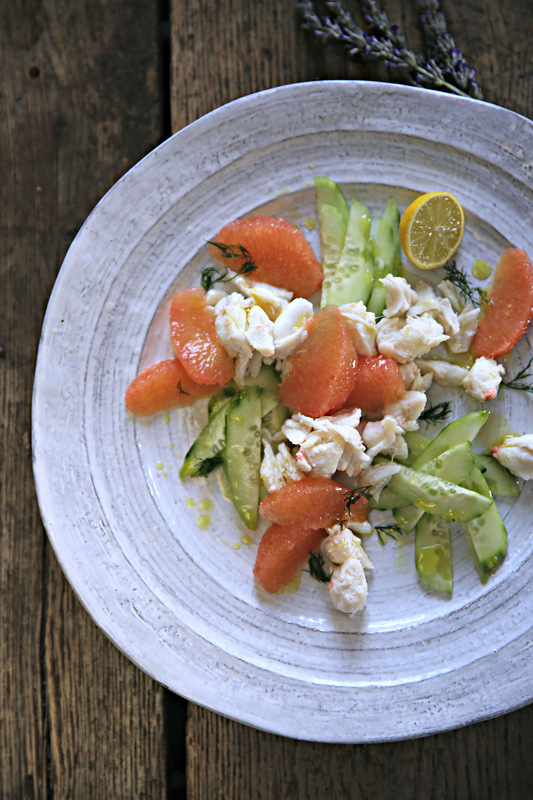 My spring recipe idea, toss coarsely chopped dill leaves into a salad or use dill to add brightness to salad dressings like with this crab salad with grapefruit, a nice twist that’s refreshing and seasonal, juicy, refreshing, tart, sweet and tangy. The powerful nutrient combination of fiber, potassium, lycopene and vitamin C in grapefruit all help to maintain a healthy heart. A salad so wonderful, you can’t wait to serve at your next annual “ladies who lunch” affair. It needs very little dressing, allowing the subtle flavor of the fresh crab to shine through. The tart-sweet ruby red grapefruit segments pair well with a dry sparkling wine with high acidity, alternating fresh tangerines for the grapefruit when in season. ¼ teaspoon salt and the reserved grapefruit juice and whisk together for the dressing. In another bowl, combine the crabmeat, green onion,. Add 2 tablespoons dressing and toss to combine. Taste and adjust the seasoning with more salt and a few grinds of freshly ground pepper. Compose the lettuce leaves on individual chilled plates or a serving platter. Add a spoonful of the crab meat and surround with the grapefruit segments and cucumber slices. Drizzle each plate with more dressing or serve on the side.